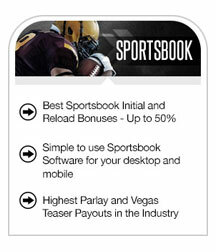 Betnow.eu features a user-friendly website, good-looking and with a mobile-friendly platform. The company’s slogan is “We make it simple” and they live up to it as far as can be told. A sportsbook, racebook, and casino all in one, Betnow is characterized by appealing promotions and bonuses, fast and simple payouts, and efficient customer service. There is a 50% bonus on deposits of up to $1,000, as well as a 50% freeplay bonus for referring a friend. A Lifetime VIP Bonus is also available, with the benefits that can be expected from such a membership status. 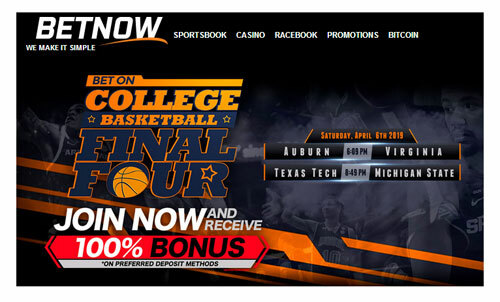 BetNow has offerings for major sports with a few extra props thrown in for good measure. Lines are up early, and are comparable with the majority of sportbooks. There is an attractive choice of futures on a wide variety of sports, and parlay prices and teaser odds are some of the best that can be found on the Internet. The casino gaming platforms includes progressive jackpots and substantial rebates, 16 table games, 18 varieties of slots, several mobile games, video poker and keno, and a live dealer casino. All in all, it is as close as it gets to being in an actual casino – without free drinks, of course. 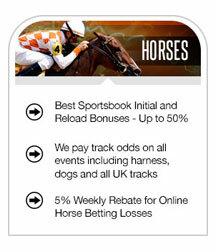 This is your standard racebook with $1 minimum bets and a 5% rebate. A couple of caveats; bets on horses must be in a couple minutes before post time to be accepted, and the limits on certain exotic bets are a bit low. Payouts are simple and dependable, and there are several methods for users to get their cash as quickly as desirable. The customer service department provides live online support around the clock, 24 hours a day, 7 days a week – which is and of itself rather convenient. Additionally, the staff is very polite and helpful. As we have seen, the bonuses are enticing enough to join – or entice others to join. But once you are a member, there are plenty of reasons to stay as well. An overall enjoyable experience for both the casual and experienced gambler.